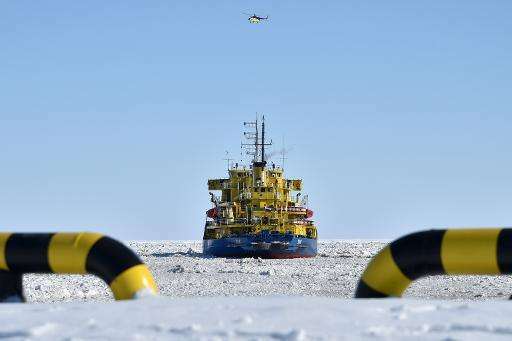 The thawing of the polar ice promises Arctic nations new opportunities to open ocean trade routes and offshore oil fields. But the chill in relations between Western powers and their Arctic neighbor Russia could make the North a frontline in a new Cold War. Senior envoys from the countries of the Arctic Council will meet on Thursday in the Canadian Arctic city of Iqaluit, on Baffin Island. The United States will assume chairmanship of the group with a call to address the threats and new opportunities of climate change. But the bear in the room is Russia, already at loggerheads with the West over the crisis in Ukraine, and newly assertive in the Arctic. During World War II, Iqaluit was an airfield used to ferry planes and supplies to Europe. Now, it is an Arctic hub, and any warplanes in the sky are likely NATO jets scrambled to intercept probing Russian patrols. The Arctic Council brings together ministers from Canada, Denmark, Finland, Iceland, Norway, Russia, Sweden and the United States. They will be joined by observers from the region's indigenous peoples and nations, including from China, seeking an economic foothold. "I can think of no other place on planet Earth where we have more opportunity than the Arctic," US Senator Lisa Murkowski told the Center for Strategic and International Studies last week. According to a 2008 study by the US Geological Survey, the Arctic may hold 13 percent of the planet's undiscovered oil and 30 percent of the world's natural gas. The melting ice also creates shorter shipping routes between the Pacific and the Atlantic—connecting markets in Europe and Asia. Temporarily at least, the recent plunge in oil prices makes costly Arctic oil exploration less attractive. But the number of ships crossing the Bering Strait is already on the rise. According to the US Coast Guard, the number of vessels making the voyage nearly doubled between 2009 and 2012 and again from 2012 to last year, to 440. Scientists expect global warming to quicken, as higher temperatures caused by greenhouse emissions cause snow and permafrost to melt. With less snow, less heat will be reflected away from the surface, and as the tundra thaws it will emit more greenhouse gas. The pristine region could itself be changed beyond recognition, but the Arctic melt will threaten even far-off tropical nations. Anote Tong, president of the Pacific island of Kiribati, which is seeking Arctic observer status, sent the council an open letter. 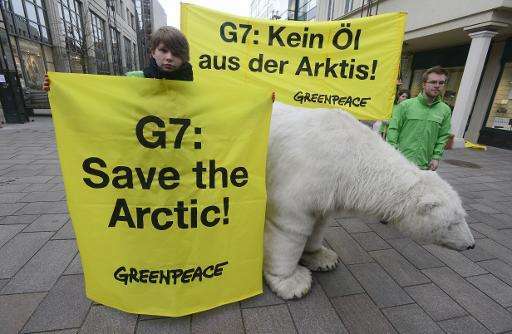 "The Arctic is far removed from my home, but it has a direct impact on the Pacific and the rest of the world," he wrote. "Allowing the Arctic to thaw even a little bit threatens to start a deadly cycle of warming that could quickly spiral out of control." Washington also hopes to improve ocean stewardship, maritime safety and the lives of the Arctic's four million inhabitants. Murkowski noted the Arctic's strategic importance, arguing for a stronger presence to give the United States a "greater ability to project power" through the northern hemisphere. Relations between Russia and the West are stalled in Europe, with Moscow under tough sanctions over its seizure of Crimea. In the Arctic, Canadian and US jets have been scrambled more often recently to ward off Russian bombers skirting their air space. Canada, which hands over the Arctic Council reins after a two-year term, had planned a pre-summit meeting on Wednesday in Ottawa. But this was canceled, reportedly so that Canada was not to be seen feting Russian dignitaries in its capital. Last year, Canada and the United States opted out of an Arctic Council Task Force meeting on black carbon and methane in Moscow. In apparent response, Russian Foreign Minister Sergey Lavrov will miss the Iqaluit meeting on Friday, for the first time since 2004. Moscow is sending environment minister Sergei Donskoi instead. Russia did participate in the first Arctic coast guard forum in Washington last month. "The political tensions that we are experiencing with Russia right now perhaps erode a bit the desire for greater cooperation," admitted Murkowski.